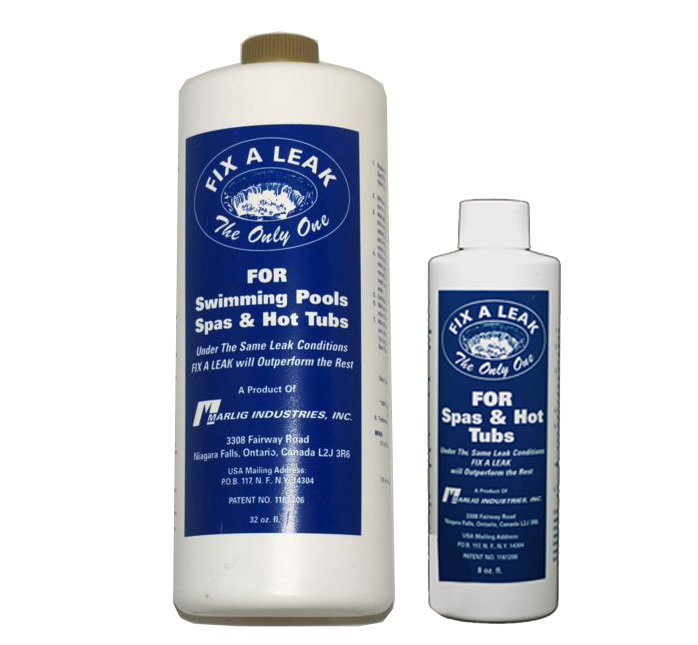 FIX-A-LEAK : is a blended concentrated material designed to seal leaks in virtually any material : can be applied for leaks in the shell and works equally well in plumbing : will seal holes 1/8" in diameter : will form a permanent seal Use 1 quart per pool up to 22,000 gallons. 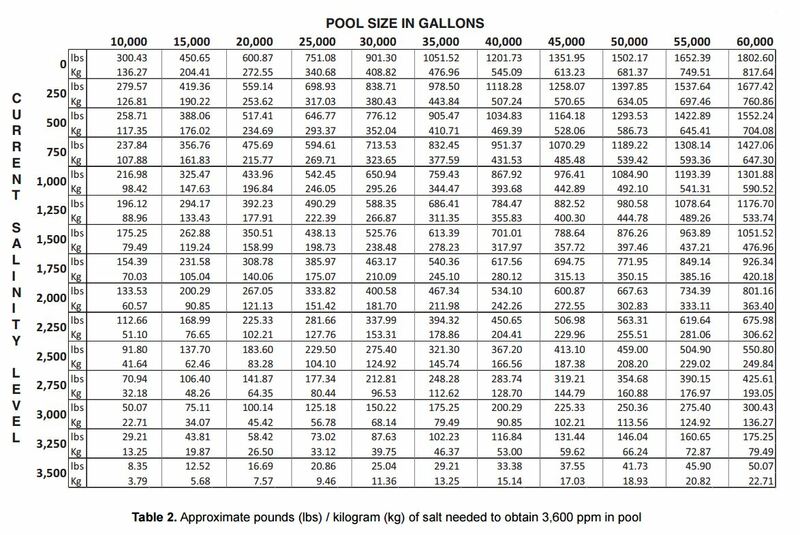 Do not use in excess of 1 quart per 5,000 gallons of water. After adding FIX-A-LEAK adjust suction to main drain. If this is not possible, the vacuum cleaner could be used alternatively, simply by placing the vacuum in deepest part of pool and connect to normal vacuum connection. After the leak has stopped and given the proper time to cure (24-48 hrs.) you may return to normal filtration. Sand Filters: Set filter valve to filter and resume normal operation. Backwash out unused FIX-A-LEAK as required. Suction Leaks are usually known by air mixed with the water at the return fittings. In most cases suction lines only leak water when the filter pump is shut off. Normal Circulation will simply draw FIX-A-LEAK away from the leak and if the pump is shut off the material will simply not get to the leak. You must reverse the flow of water, to force the material through the leak under pressure. Preferably 5-10 psi. untill the leak has stopped. When this has been achieved, gradually increase pressure to 15-25 psi. to insure a proper seal. After sealing a suction leak "it" is a must to leave suction off the repaired line for no less than 48 hrs. FIX-A-LEAK requires time to cure and harden. Miscellaneous Leaks: If you suspect a leak around fittings inside the pool (such as return fittings) lights, skimmer(s) or steps, etc. Shut down pump. Apply FIX-A-LEAK directly to the leak using a squeeze bottle, similar to a ketchup bottle. Allow a minimum of 48 hrs. to cure before starting up circulation. Keep Out Of Reach Of Children. Can cause severe eye and skin irritation. Do not get in eyes, on skin, or on clothing. Harmful or fatal if swallowed. Avoid contamination of food. Rinse empty container thoroughly with water and discard it. In case of contact, immediately flush eyes or skin with plenty of water for at least 15 minutes. For eyes, contact a physician. Remove and wash contaminated clothing before reuse. If swallowed, drink milk, egg whites, gelatin solution. If these are not available, drink large quantities of water. Call a physician immediately. FIX-A-LEAK is also an excellent preventative maintenance aid, as it coats all surfaces that it comes in contact with, it cuts down on formation of rust and corrosion. 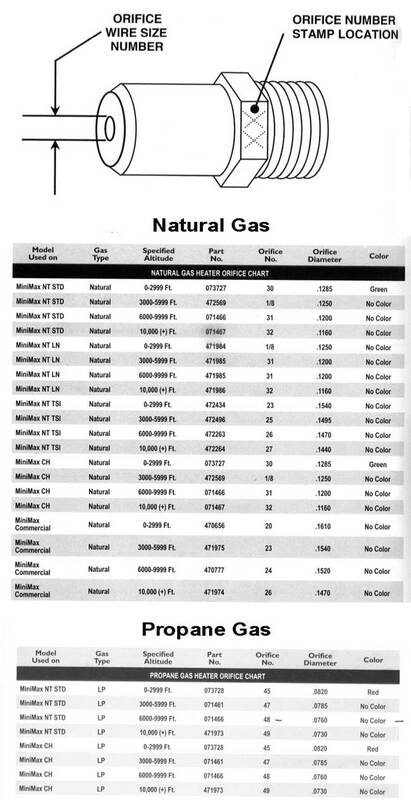 Marlig Industries nor its Agents assume responsibility for the performance of this material.